The scale of Southern California's homelessness crisis can feel overwhelming. Tens of thousands of people sleep on the streets each night, and officials across the region are scaling up a massive policy effort to open new shelter beds and build new affordable housing units. But for an individual who wants to help, the size of the problem can feel hopeless. Ending homelessness in Southern California will ultimately require a lot more than what we have right now. Though voters have approved significant funding measures for city and county relief efforts, and the number of people counted in the 2018 homeless census reflected a 4 percent decline from 2017, the rate at which Angelenos are falling into homelessness continues to tick up. That is, though thousands of people are being housed by local governments and homeless service providers, those efforts are not necessarily enough to offset the underlying economic factors that cause homelessness: high housing costs and low wages. But experts on the homeless crisis say there's a lot individuals can do to help. We talked to the people working most closely on this issue, and here's what they recommend to Southern Californians who want to spend some time reaching out. Each January, thousands of volunteers participate in the Los Angeles Homeless Count. The massive, three-day volunteer operation is basically a census that aims to determine how many people are experiencing homelessness on any given night in L.A.
Knowing how many people are falling asleep without shelter, where they are, and where tent encampments are concentrated is crucial to determine where resources are most needed. The next count takes place during the evenings of January 22, 23, and 24, 2019. On each night, volunteers both walk and drive through neighborhoods looking for people, encampment structures, and vehicles where people may be living. To volunteer, sign up at the Los Angeles Homeless Count's website. 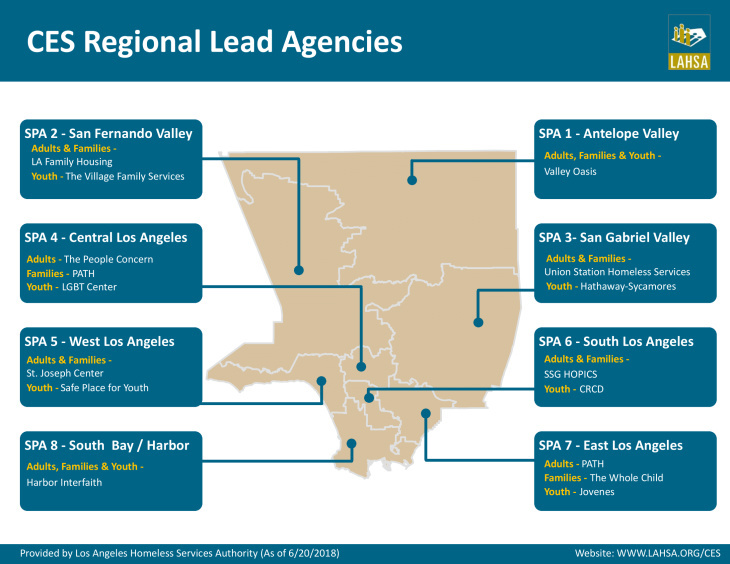 L.A. County is divided into eight "service planning areas" (SPAs) for homeless outreach and relief. Each of the SPAs have specific lead organizations that can refer you to volunteer opportunities. Step one is to figure out where geographically you'd like to help. Step two is to see the list below for organizations to contact. Reach out by phone or email, and tell them you want to volunteer. In some areas multiple organizations operate side-by-side. Some specialize in helping a particular group of homeless people, like children or families. If you are concerned about the health and safety of a specific person experiencing homelessness — particularly if their physical or mental health is deteriorating — you can send that information to outreach workers. The Los Angeles Homeless Outreach Portal (LA-HOP) lets members of the general public provide detailed information about where to look for the person, and what they may need. This information goes to workers dedicated to street outreach in the reported area. Their job is to build trust with people living on the street, and persuade them to accept help from public and private homeless service providers. The simplest way local governments can tackle homelessness is somewhat obvious: build more housing for homeless people. But initial efforts to do just that are raising thorny questions about what kinds of housing should be built where. Several public meetings on the subject turned chaotic as neighbors voiced concerns over housing formerly homeless people near their homes. In some cases, this leads to projects just getting cancelled outright, as happened to a proposed permanent supportive building in Fullerton and a proposal for temporary 'bridge' housing in Koreatown. Despite the explosive meetings, a poll by United Way found that 69 percent of L.A. County residents support housing for people experiencing homeless in their own neighborhoods. Public officials are skittish creatures, and their choice to embrace or dismiss a proposal for homeless housing basically comes down to whether or not they think it will hurt or help their chances at reelection. The greater number of people who express support for homeless housing in a particular area, the more likely local elected officials are to sign off on it. That basically comes down to figuring out who your local representatives are and telling them you support housing in your area. If you live in the City of Los Angeles, you can figure out who your local city council member is with this online tool. For other cities, this information can be found on the local city website, though it may require a little digging. Ultimately, what you're looking for is how to contact your city council representative. Helping people express support for homeless housing is also why United Way set up Everyone In LA. It's basically a campaign intended to help those who support building housing for homeless people in their neighborhood to get involved in their area's political process. That's done through live events, organizing, and lots of education about the plan for ending homelessness in Los Angeles County. The more you talk to people who are homeless in Los Angeles, the more you understand how homelessness is an economic condition that, left untreated, mushrooms into something much worse. 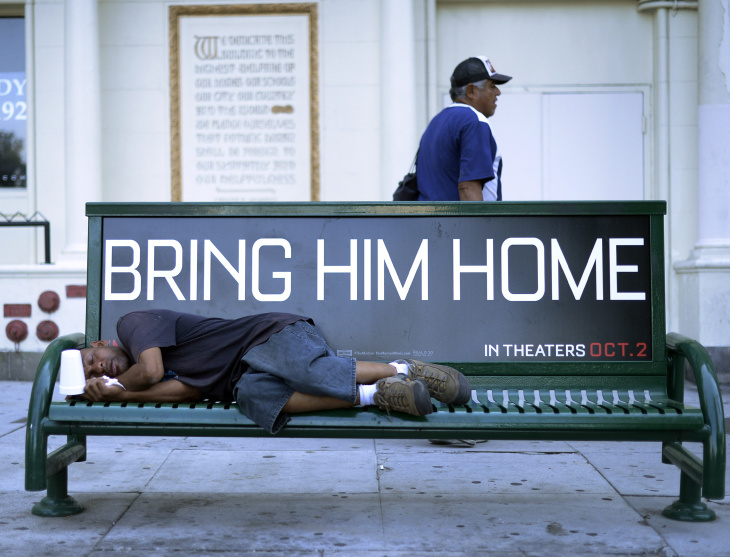 The majority of homeless people in Los Angeles are long time Southern California residents who fell on hard times. You learn this by treating the people you see on the street with respect, and by talking to them. You can ask about what it's like to be homeless in Los Angeles, how long they've been homeless, or how they ended up homeless and sleeping in a tent beneath a billboard. When you're talking to someone about their experience on the street, you'll inevitably learn about what they individually need. Some people have tarps to protect their belongings from the rain, but others don't. Some people need blankets and socks, some people need hygiene supplies, and some people need food and water. But it's important to emphasize that you can only learn this by engaging with people, and getting to know them. Homeless advocates emphasize that it's generally not helpful to take piles of blankets or prepared food to encampments and just leave them. If someone asks for food or a blanket, then you know it will be used, and won't end up sitting on the curb for days or weeks. But, again, you only learn that by asking people individually what they need. As the pope says, give without worry.